So now it’s official. Yesterday the white paper came down off the windows so the sign guys could apply the lettering. The results are there for all to see at 212 Raritan Avenue. 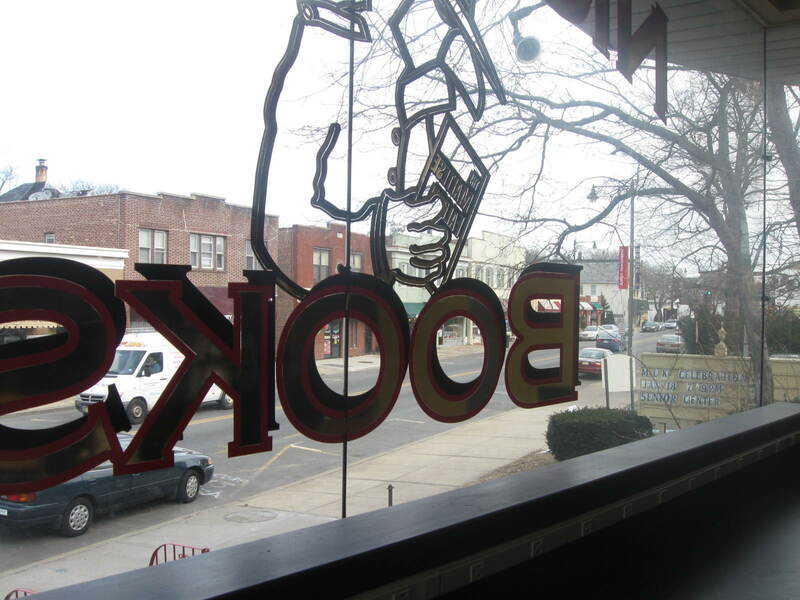 Here’s what the view is like from the big blue coffee bar inside the front window. I had hoped to be ope this weekend, but the wheels of local and county regulators have been turning rather slowly. Now it looks like Saturday, Feb. 6, will be the magic day. 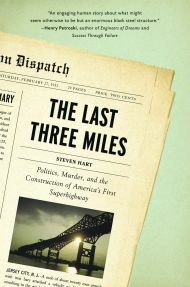 Audible.com has posted its spoken-word edition of my book The Last Three Miles: Politics, Murder, and the Construction of America’s First Superhighway. You can find the link on the book’s Amazon page, or go right to the Audible page and listen to a passage. The sample sounds pretty good, if you ask me. 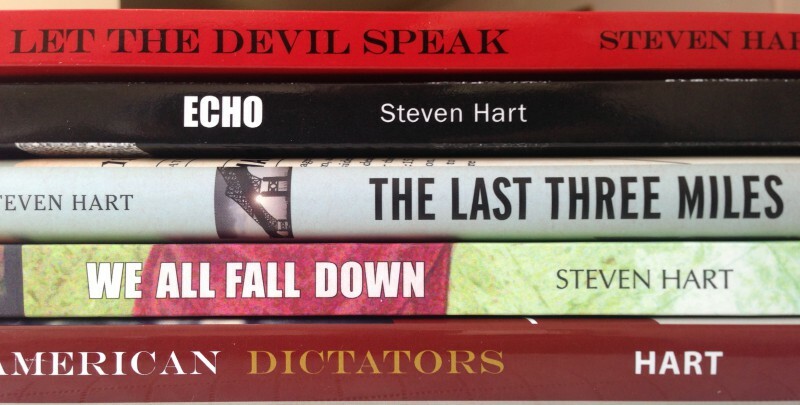 The narration is read by Dion Graham, an actor whose other audiobook credits put me in some pretty good company. Even better, he played state’s attorney Rupert Bond in The Wire, my most favorite TV show in the entire Milky Way galaxy. So now I can be a link if somebody playing a variation on the “Six Degrees of Kevin Bacon” game wants to make a link between Hamsterdam and Jersey City. 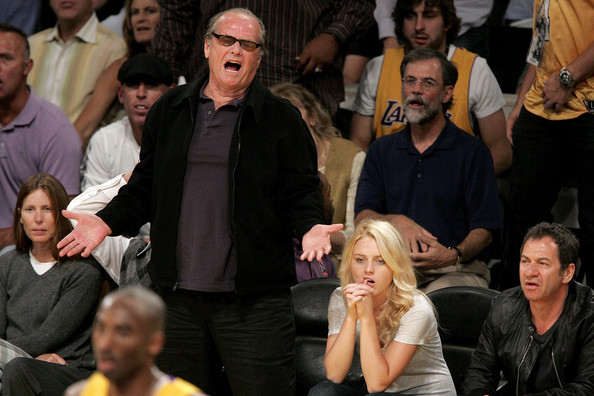 Who needs a floor show when Jack Nicholson is watching a Lakers game? Buzzfeed compiles the best snaps of Uncle Jack upstaging the players. Jeff Sypeck has turned his translation of the fifteenth-century Middle Scots poem The Tale of Ralph the Collier into a nifty little paperback book. Here’ your chance to be a patron of the arts and scholarship. How freakin’ cool is this facade on a building in Amsterdam? An astonishing collection of images from the Rub’ al-Khali, Saudi Arabia’s “Empty Quarter,” and an equally astonishing variety of sand dunes. Perhaps Pierre Morel, the director of a planned remake of Dune, should consider filming there. Though I think David Lynch’s 1984 film is somewhat underrated — the first half, with its criss-crossing plots and panoply of bizarre creatures, works surprisingly well considering Lynch’s avowed lack of interest in narrative — the visualization of Arrakis was very disappointing. It ended up looking like a big beach, with the ocean kept out of sight. Incidentally, the magazine that ran the piece, Saudi Aramco World, regularly offers beautiful images and solid writing on topics you won’t see covered anywhere else. And the print edition is free. Podcast alert! Christopher Lydon has an excellent conversation with Terry Teachout about Teachout’s new biography of jazz trailblazer Louis Armstrong. And Bat Segundo delves, among other topics, into the question of whether Armstrong had an FBI file. Lucky fella Dennis Cozzalio interviews Stuart Gordon, director of the gruesomely hilarious splatter classic Re-animator, on the occasion of Gordon’s film series at the New Beverly Cinema in Los Angeles. Some of the choices are more surprising than others — Theater of Blood is one thing, but The Swimmer? Little Big Man? — but the roster is a reminder that Gordon’s range goes beyond jovially disgusting H.P. Lovecraft adaptations to encompass David Mamet plays and deliberately provocative theater pieces. Read all about Love’s Compass and its author, Mary McAvoy, who is the first author I’ve booked for an appearance at my soon-to-open bookstore, Nighthawk Books. And yea, verily, there was rejoicing throughout the land because Kung Fu Monkey is once again featuring Guitar Friday. Read the love odes to the Gibson Les Paul and the Fender Stratocaster. Here’s your deep thought for the day: Starting up a new business is a lot of work. In fact, that deep thought will serve for the past four days, which is how long I’ve gone without updating this site, and for an indeterminate number of days in the future, as the demands on my time intensify. The holiday break was pretty much a round of nonstop painting and cross-state drives to pick up furniture and bookcases. Painting and the ensuing dribbles and drips have transformed some of my clothing into Jackson Pollack canvasses, and I had to suspend using polyurethane when the fumes caused me to see Jesus, Mohammad, Zoroaster, and Buddha playing five-card stud in the front room. 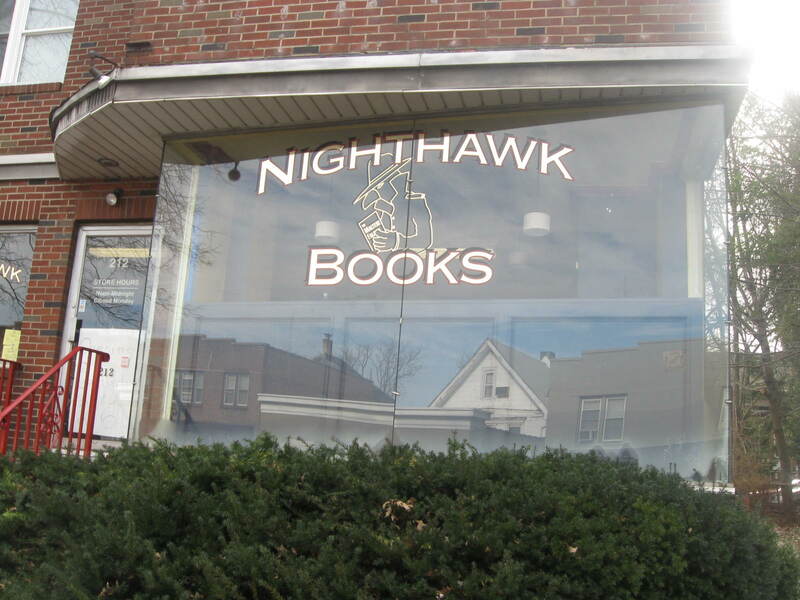 Suffice to say that Nighthawk Books is on its way to opening later this month, and I’ll have more to say about it pretty soon.